Capital Captions specialise in video transcription services, effectively transcribing audio to text. 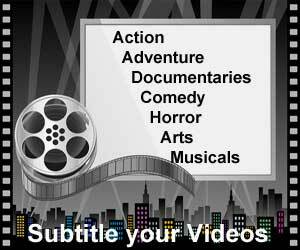 This includes time coded video transcription services, closed captioning and subtitling services. Whether you have used video transcription services in the past or simply need to find out more information, we can help. In today’s blog, we’ll be explaining the top reasons why video makers and companies choose to transcribe videos to text as well as which options and processes are involved. Hopefully understanding more about how time coded video transcription works can help you decide if and how time coded video transcription services can benefit you. In order to add captioning to your videos, firstly you will need to transcribe audio to text. We specialise in video subtitles and video closed captions and we know that they both require word-perfect accuracy as well as precise formatting for optimal results. For subtitling, .srt, .vtt, .stl or other subtitle file formats include time codes to ensure onscreen text appears in sync with audio. Video closed captions require exact time codes to be constructed and included for both show and hide times. Using time codes accurately and effectively ensures that captions sync correctly with the dialogue, and are visible at the correct times. Poorly timed closed captions or subtitles can be confusing for viewers. Captions or subtitles may either linger onscreen long after dialogue stops, or alternatively, disappear too quickly without allowing viewers time to read them. Our variety of video transcript styles can be selected and adjusted to suit your requirements. In terms of time coded video transcription writing style, our clients are able to choose from a number of services. These include intelligent verbatim, verbatim, discourse analysis and edited transcription, as well as transcription with visual or audio description. We tailor make our time coded transcript layouts to suit the needs of each client. In addition, we are happy to include both ‘in’ and ‘out’ times and time code transcripts from as much as every sentence to as little as every five minutes. Our video transcripts are typically provided in an editable Word document format which means they can be adjusted, edited and corrected following transcription. However, we are also able to provide PDF transcripts or Timed Text files in captioning formats such as .DFXP, .EBU-TT, or TTML. We’re happy for you to take a look at some of our sample video transcript layouts here. If you still aren’t sure what transcript layout is best for you, feel free to contact us for advice and guidance with no cost or obligation. We offer a number of options for clients requiring video transcription to suit both budgets and timescales. Our budget typing services aim to keep costs down by extending turnaround times to as long as one week. In contrast, we provide premium urgent transcription services for clients with time constraints. We can turn around urgent transcriptions in as little as six hours, depending on audio quality, video size and complexity of transcription requirements. If you are interested in any of our video transcription services or would like more information on any other service we offer, get in touch with us at info@capitalcaptions.com.